Henry VIII was the King of England until his death in 1547 and was perhaps best known for his six marriages which never seemed to last! Battle Royal from Play’n Go has got free spins, instant prizes and the Royal Flush feature with prizes of up to x5,000 bet! Graced with beautiful illustrations this slot game pulls out all the stops. The royal blue reels, are set within a castle and are graced with the presence of all six of King Henry’s wives: Katherine of Aragon, Anne Boleyn, Jane Seymour, Anne of Cleves, Catherine Howard and Catherine Parr. These bewitching symbols are expanded to occupy two spaces. There are also four lower-paying poker suit icons. The audio combines period music with modern-day audio effects for maximum effect. The Henry VIII wild symbol is expanded to two spaces high, and substitutes for all other symbols except the coat of arms scatter. The wild can combine on paylines to create exclusive wins of 200, 1,000 or 3,000 coins with 3, 4 or 5. The Royal Flush Feature is randomly unlocked and converts all of the poker suit symbols into the same one. When a scatter lands on reel 1 and reel 5, you are invited to choose from between the two scatters. One will award free spins and the other awards a pick bonus called Long Live the King. With the free spins feature, heads will roll – literally! At the start of the bonus feature, you must decide which of the wives will keep her head, for the chance to win the prize attached, no pun intended. That’s because, on every spin, one of the guillotines hanging above the reel will come down to sever the head of one of the unsuspecting wives, if a head is present, transforming her into a ghostly wild for the duration of the free spins. Free spins continue until the last wife is left. 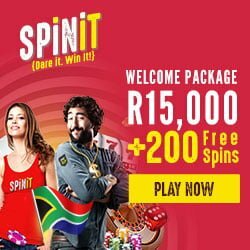 Should that wife happen to be the one, you initially chose then you’ll receive an extra free spin and collect the attached prize. If the Long Live the King pick bonus is selected, then your objective will be to assist King Henry in collecting treasure and escape from his haunted dungeon. On each pick, one of his dead wives floats across the screen, and if Henry happens to be in her path, then it’s lights out as the feature ends. Sifting through the treasure might land you a key which opens the door to Henry’s escape in combination with a multiplier applied to your total winnings. You can select to risk it all by continuing to pick treasure – but don’t get caught or it’s the end of the rope for you! Battle Royal Don’t Lose Your Head! Battle Royal slot has an RTP of 96.56% with bets that range from 0.20 to 100. No need to lose your head because, besides desktop, the slot game is also available on mobile and tablet using an Android or iOS device. 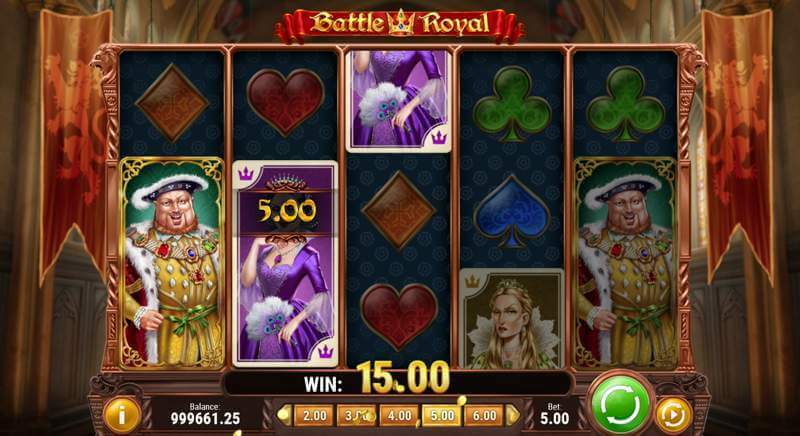 Battle Royal slot game is for the history buffs who enjoy a few spins on a slot machine.